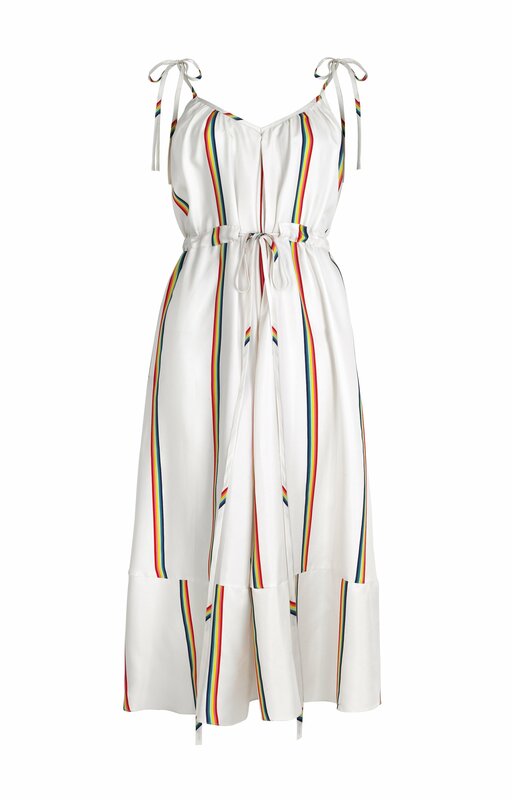 The stunning 100% silk Natalia dress from Paper London is offered in a Tropical Rainbow stripe print. 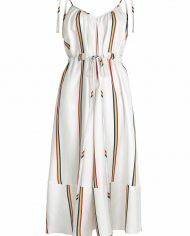 It features a gathered draw string waist allowing adjustment for an effortless relaxed style. Self-tie spaghetti straps complete this delicate design.